I hope you had a nice Thanksgiving holiday. My husband and I were up at 3 am on Thanksgiving day to drive to my brother's house that is about 4 hours away. Then we headed back home around 8 pm that same day. It was a LONG day but it was lovely. I was able to spend time with two out of three of my brothers, my parents, and my niece and nephews. Maybe I'll share the selfie sessions that were had in a post later this week! 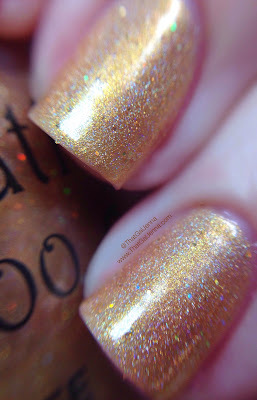 Today I have a few pretties from NailNation 3000 to share with you! They aren't part of any specific collection, hence the lack of a collection name, they are mostly new releases though. Oh and NN is having a HUGE sale right now! There are a whole bunch of limited use promo codes that are good for the entire store. Even the new releases. Click here to see the post about the codes. They are so worth using! Two flawless coats of each polish. No application issues and no staining. Drinking in my Tu Tu - This little lady is fierce and oh so sassy. 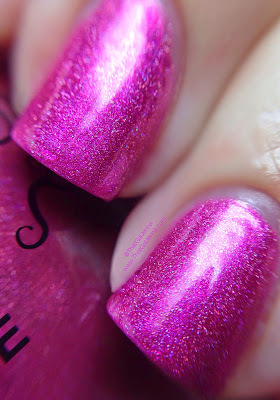 This is one of my favorite pinks from NailNation! 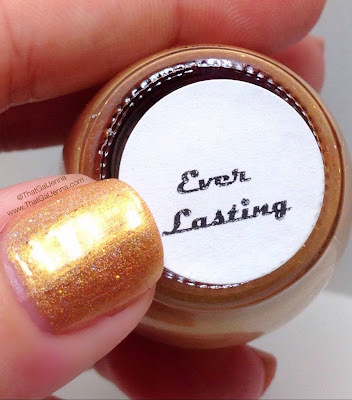 Everlasting - Normally I'm not a big fan of gold but this is stunning. It has so much more than just gold in it. It has a copper/yellow feel to it and it's bright rather than being super warm like straight gold can be. Plus the glitters in it...perfection. 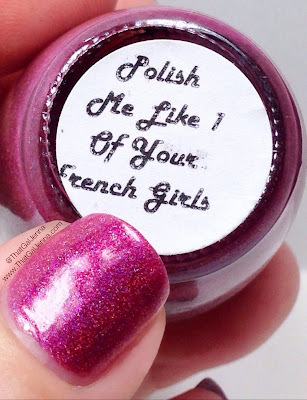 Polish Me Like 1 Of Your French Girls - This is a beautiful and rich shade for fall/winter. It still feels office appropriate because it's not too red, too purple, or too pink. It's a perfect in between. 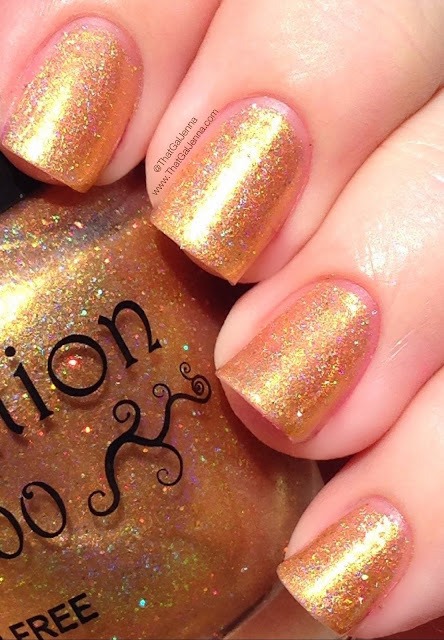 I'll have more polishes from NailNation for you tomorrow! 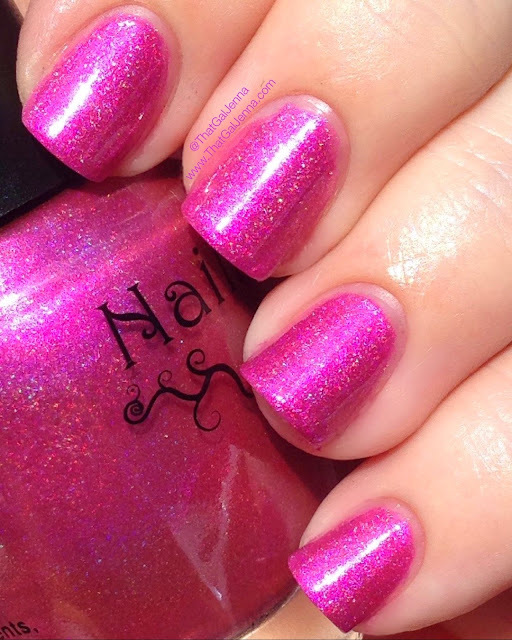 Don't forget to go to the FB page for NailNation so you can get those cyber monday codes!